Big egg for a big mug ! Mini not only kills the mice ! 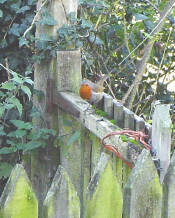 Even the robins around here are posuers !